1.1 Why is gold so valuable? 1.2 Is confidence of people the only thing that assigns value to a material? 1.3 Is gold standard secure for large transactions? 1.4 Is gold standard practical for smaller transaction? 1.5 Is there enough gold in the world to be used as a currency for modern day economies? 1.6 Can gold work with current economical system? Gold similarly has a number of physical properties that make it unique. It is rare and which is why it is more valuable compared to iron for instance. If all the gold that has been mined throughout history is lumped together, it would be a cube that has dimensions of around 20 meter each side. This may not seem too much but there are several gold deposits still waiting to be tapped. Therefore, gold is rare enough to be valuable but also sufficient enough to be used as currency. Gold has certain properties that distinguish it from other materials. For instance smelting temperature of gold is low compared to other metals. This means processing it is less expensive. It is extremely malleable. This implies that it can be rolled into thinnest of sheets. Furthermore gold unlike other metals does not oxidize(i.e. does not corrode). Gold also has industrial uses. For its high conductivity and non corrosive nature, it is used in electronics. It also has an ornamental value because it is aesthetically pleasing. Due to its bio compatibility, gold has also been used in medicines for centuries. Its inert nature made it indispensable for uses in dentistry. Recent advances in nano- technology has revealed its unique optical properties which are extremely useful in producing diagnostic kits. This article from the BBC explains the gold value in depth. Is confidence of people the only thing that assigns value to a material? No, confidence is just one of the factors and one it is fallible. That means a currency that is not backed up by gold (or any other valuable material) is prone to hyper inflation. The high fluctuation in currency due to hyper inflation is way above the level that is due to natural inflation or deflation of currency with intrinsic value. Any currency in circulation therefore must have an intrinsic value other than just the confidence value assigned by people. Is gold standard secure for large transactions? Gold standard does not imply gold to be physically transferred between two parties. Larger amounts can be transferred through receipts. Gold can remain in vaults with just the tags (physical / digital) of ownership changed. What is important is a system that guarantees that the receipt will be at all times linked and will be returnable with gold. More information on gold trading can be accessed from here. Is gold standard practical for smaller transaction? 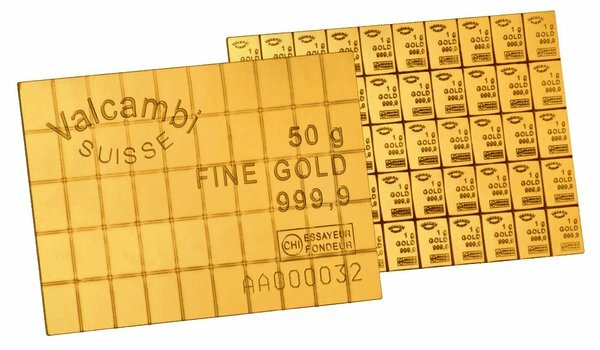 After the crash of 2008, for smaller gold transactions the Swiss company Valcambi introduced divisible gold bar. 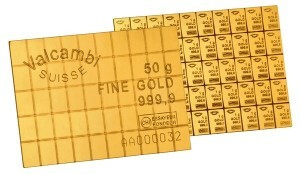 Named as “Combibar” gold bar, it was as thin as a credit card and therefore could be easily placed in a wallet. The 50 gm gold bar could be broken up into 1 gm pieces for smaller transactions. Is there enough gold in the world to be used as a currency for modern day economies? Yes, there is enough gold for the world economy. It has to be realized that the current sizes of the economies and level of debt that have been accrued by countries represents an inorganic astronomical amount. The true worth of economies in currencies with intrinsic value would be much lower because unlike paper/virtual currency, gold cannot be printed out of thin air. 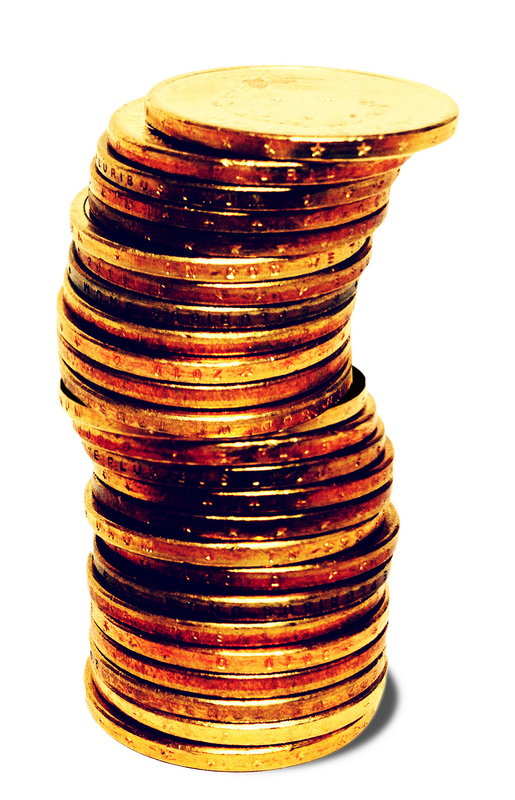 Furthermore, in a gold standard , gold is not the only element that will be used as a currency. Silver that has similar intrinsic properties (industrial, aesthetic and medicinal) will be used in conjunction. There has been a historic ratio of gold worth to silver of almost 14 that has maintained itself across thousands of years. Can gold work with current economical system? The change to gold standard would also require a switch to a more organic, economical growth model. The current system of neo-liberal economics that has branched out of capitalism as its radical form needs to be rolled back. It is neoliberal economics that has devastated third world countries and exploited and stripped natural resources. It is this system, which only to sustain itself requires growth in the rate of growth rather than the growth itself. This is resulting in tremendous strain on the natural resources. In addition, private banks now hold power to run and print currency. This was done on the premise that politicians and governments should not be allowed to tinker with the currency as it could be dangerous for the economy. The private ownership of central banks in turn has resulted in wealth in even fewer hands. It has also allowed individuals (having no connection to the country) to control government policies that further perpetuate their own power and wealth. Gold standard on the other hand would ensure a fairer system within societies and beyond. It would redistribute wealth and would hinder its accumulation disproportionately.